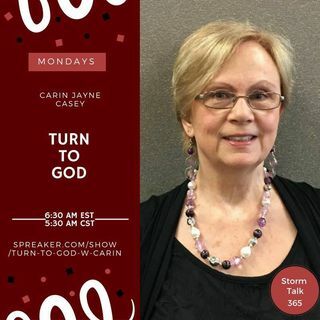 In “Turn to God with Carin,” Carin Jayne Casey earnestly asks listeners to pray for America; for God's mercy over our country, heal our land, save us, and give us favor. She read portions of an article relaying Franklin Graham's plea for us to ask forgiveness for the nation's sins. Casey shares Psalm 30, and encourages us to pray, then vote as God leads us. The National Domestic Violence Hotline number is given.